If you need to get high quality work from your trade contractors, create some “standard operating procedures” for your trade contractors to follow. And in this tight labor market, with good employees so scarce, you need to make sure your trade contractors are accountable and performing at peak efficiency and competency. Put your expectations into writing. 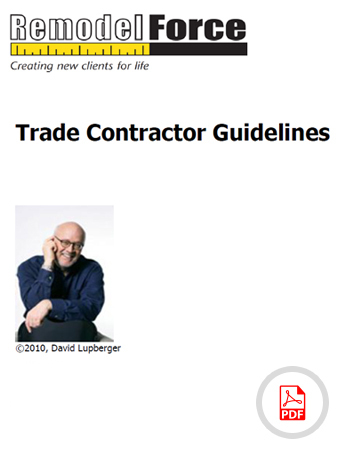 This manual contains customized guidelines that you can use to effectively manage the onsite performance of each of your trade contractors.